By the end of the 1980s the idea of a full-size sporty car was, how you say, petering out. Muscle cars and pony cars were where the high-performance crowd was at. Some manufacturers found another niche to infiltrate: large (or at least, large-ER) sedans with sports car handling and understated styling. 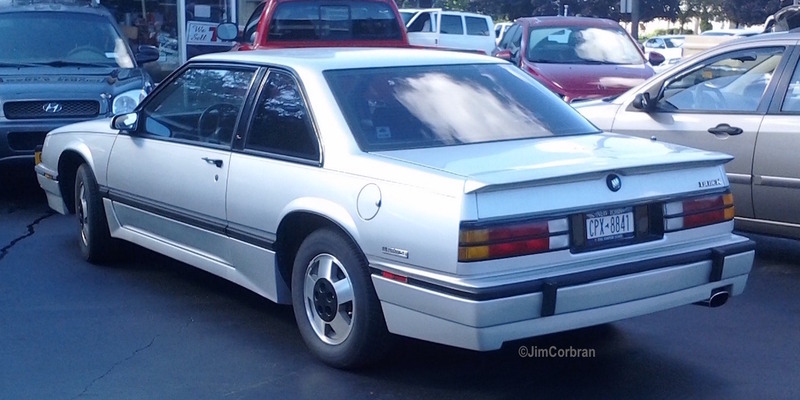 Such as this 1989 Buick LeSabre T-Type Coupe, spotted a while back in Tonawanda. Featuring Gran Touring suspension, 15” aluminum wheels, front air dam, rear spoiler, and a special interior, it was a welcome effort. Being sold next to the LeSabre coupe and sedan, with their padded tops and fake wire-wheel covers, probably dimmed the light a bit, though.